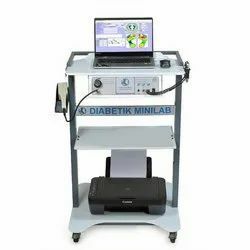 We are a well-known manufacturer, distributor, wholesaler and exporter of complete range of medical equipments specialising in diabetic foot management. These equipment have been manufactured as per strict quality control parameters, using premium grade raw-material and components. 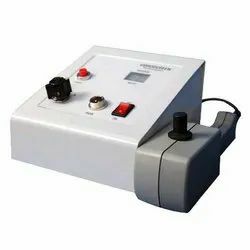 All the machines and instruments offered by us are available at reasonable prices and are known for their accurate results. These are used widely all across the globe in a number of medical and therapeutic applications. Whenever one suspects Peripheral Arterial Disease (PAD), the clinician must perform the five non-invasive vascular testing methods that are commercially available and widely implemented. The instruments used for measuring ABI are described under this section. 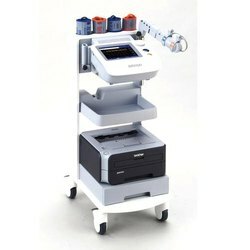 The ankle brachial index is the most well-known, non-invasive vascular testing tool. ABI test is performed with a Doppler and a blood pressure cuff. One calculates the ABI by dividing the ankle pressure by the brachial systolic pressure. An ABI of <0.9 is abnormal and ABI values have a linear correlation with wound healing potential in lower extremity wounds. Patients with DM may have calcified and hardened lower extremity arterial walls that cannot be readily compressed and occluded with blood pressure cuffs. This produces falsely elevated ankle pressure readings that are often in the “normal ABI range” (0.9 to 1.2) or sometimes in the non-physiological range of above 1.3. Pros. : The ABI is a relatively quick and cost-effective test for screening of PAD with known sensitivity and specificity of 90 percent or higher. Cons. : Calcified leg arteries in DM or dialysis patients may yield falsely elevated ABI results. Whenever one suspects Peripheral Arterial Disease (PAD), the clinician must perform the five non-invasive vascular testing methods that are commercially available and widely implemented. 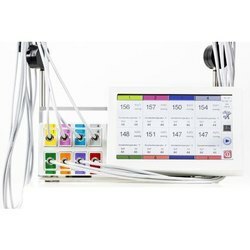 They include the ankle brachial index ABI), the toe-brachial index(TBI), pulse volume recording(PVR), transcutaneous oxygen monitoring(TCPO2) and skin perfusion pressure(SPP). One would calculate TBI by dividing the blood pressure of the great toe by the systolic brachial blood pressure. Toe pressure of > 50mmHg is considered normal. Toe pressure < 30 mmHg is considered severely ischemic. Pros. : The digital arteries in great toes are considered to be less affected by medial arterial calcification. Cons. : There are site limitations such as the inability to measure toe pressure due to toe wounds or toe amputation. 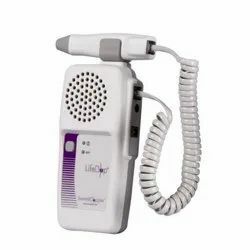 The transcutaneous oxygen measurement unit Precise Range of tcpO2 are intended for the measurement partial pressure of oxygen, also known as tcpO2, on the surface of the skin. 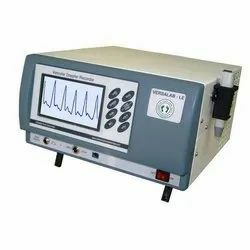 The probe parameters, the measurement process, as well as the tcpO2 measurement results of three measurements can be saved onto the internal memory. Wound healing process (diagnosis & prediction). Chronic venous insufficiency and ischemia. Confirmation of diagnosis and blood gas monitoring. Measurement for individual amputation level. Diabetes & peripheral artery disease PAD. One of the frequent causes of non-traumatic lower-limb amputation is Diabetes and is usually preceded by foot ulcer and infection. The reason of this ulceration is commonly a loss of protective sensation due to peripheral neuropathy, for which there is no prevention strategy. 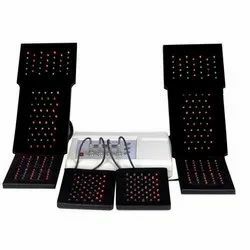 Current research promotes early detection of neuropathy so that secondary prevention measures, such as intensive foot-care education and treatment, can be used for individuals. Since diabetic neuropathy involves the nerves, the neurological exam is a crucial part of the diagnosis. Different nerves are in charge of transmitting different sensory messages, such as temperature, touch, and vibration. Damaged nerves can’t transmit messages as well as they should, so these tests can be very helpful in narrowing down which nerves are affected. 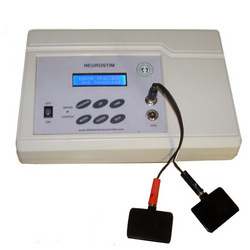 Leading Manufacturer of neuropathy therapy stimulator hospital model from Chennai. We have high quality podiatry chairs and podiatry instruments. Podiatry chairs are supplied with 3 motor and 5 motor models and they are made for long life. 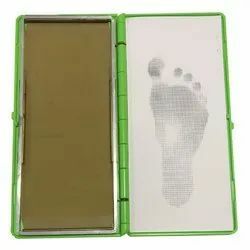 Our Podiatry Kits are exported to many countries. We supply a full Podiatry Kit containing 10 different useful tools and also a moni Podiatry kit with 5 essential tools for the management of podiatry procedures. These tools are made of strong stainless steel material to work for a longer duration.